Time certainly flies by, we are already half way through the year. Once again I would like to welcome all our new members ! The FBTC worldwide hotel savings programme is the most popular FBTC benefit and the hotel directory on the web site has been updated with the latest additions. There are other benefits such as automatic upgrades, free use of health clubs, welcome drinks, daily newspapers, express checkin and checkout, at many properties you have guaranteed reservations if bookings made 72 hours in advance. We also have the latest hotel special member promotions available. A few of them are listed in this newsletter. The complete list can be viewed on our hotel promotions page. With just one email, fax or call you can make your travel arrangements through FBTC. Our reservation staff will provide you with personalised service without any additional charge. There are no reservation amendment or cancellation fees should you change your travel plans. You have the complete FBTC membership programme available to you via the FBTC web site. We are always here to assist you and get you the best deal available. Members can access insurance programmes especially designed for the business traveller. Details can be found here. EARN STARPOINTS. Our sites are the only place you can earn Starpoints. This means that points will not be redeemed if using a automated online booking site where you book yourself and pre pay. However you may use your travel agent or travel management company to book for you and redeem your points. Your SPG number will be input into the booking and your points will be redeemed. Regarding a guest getting their Starpoints when booking via their Travel Agent, they will get their Starpoints for each Eligible Stay at a Participating Property. The Terms and Conditions on www.spg.com state: “The purpose of the Program is to reward our frequent guests. As described below, Members will receive a Membership card and will earn “Starpoints”, the currency of the Program, for each Eligible Stay at a Participating Property.” Their Starwood Preferred Guest (SPG) membership number must be put in the booking by their Travel Agent or whoever makes the booking. However this is also applicable for other brand hotels i.e. Hyatt, Hilton, InterContinental etc. All of the brand hotels offer loyalty points if booked via your agent (FBTC). But if booked independently via a automated on-line hotel reservation service (not via FBTC) then points may not apply. For further information contact Membership Offices. The programme also includes Accidental Death and Dismemberment coverage of up to US$500,000 for each Insured Person, Insured Spouse and Dependent Child if an Injury occurs during the Period of Coverage. Click Liaison Traveler Insurance for full information and an application form. Coverage can be arranged very quickly. The Special Hotel Packages / Promotions are available on-line. Hotels are offering members exclusive packages for a limited time. The new summer/winter promotions can now be found HERE. Check the packages and if you wish to make a reservations simply click to send us your request. Packages are limited so don't delay. Every hotel of the Marco Polo group is an embodiment of Asian warmth and Western comfort, a blend which conjures an unforgettable experience for every guest. Marco Polo hotels befits the new-age traveller, whether on business or leisure, with its elegant design, impeccable service and modern comforts. Marco Polo hotels provide their guests with a unique travel experience which embraces the local charm and the adventure of travel with the deeply instilled elegance and warmth of the in-house culture of Marco Polo hotels. 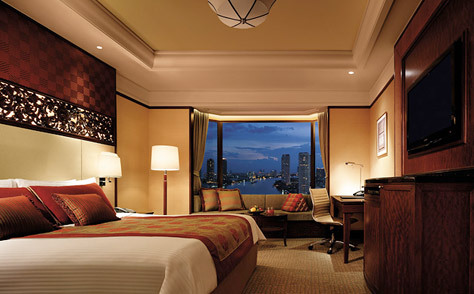 Marco Polo Hotels, Hong Kong offer three hotels in Kowloon well located for business or leisure. Members are entitled to special rates when book via Membership Offices. A member of the Marco Polo Hotels. Gateway hotel is conveniently located on Canton Road in Kowloon in the heart of the commercial and entertainment district and is part of Harbour City, Hong Kong's largest shopping and entertainment complex. Prince hotel is situated adjacent to China HK Ferry Terminal, on Kowloon's busy waterfront. The Hotel is located in the heart of the commercial, shopping and entertainment district of Tsimshatsui, on Canton Road, and an integrated part of Harbour City, the largest and most attractive shopping and commercial complex in Hong Kong with over 1,000 shops under one roof. Surrounded by lush gardens and overlooking the magnificent Chao Phraya River. The hotel is just 40 minutes from the newly opened Suvarnabhumi Airport - the most modern airport in Asia. Only 10 minutes from the central business and shopping districts by Skytrain. Benefits: Breakfast & 1 Buffet Dinner for 2 persons. Bookings must be made via membership office. 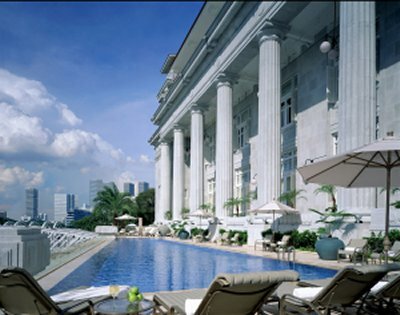 Once home to the General Post Office, The Singapore Club and the Chamber of Commerce, The Fullerton Hotel Singapore is a luxury hotel designed to provide travellers with a sanctuary of serenity and comfort. Nestled in the heart of Singapore's Central Business District and arts and cultural precinct, the hotel successfully blends rich heritage with contemporary style and personalised service to offer guests a world-class accommodation experience. Enjoy unrivalled views either overlooking the sunlit atrium courtyard, or sweeping panoramas of the city skyline, Marina Bay waterfront or river promenade from the balconies. If Dubai’s enduring appeal was ever in doubt after their gargantuan boom period turned dust during the global economic crisis, such notions can now be laid to rest. German national carrier, Lufthansa announced that it will overhaul its first-class cabins with sleek, contemporary interiors at a cost believed to be in excess of US $200 million.